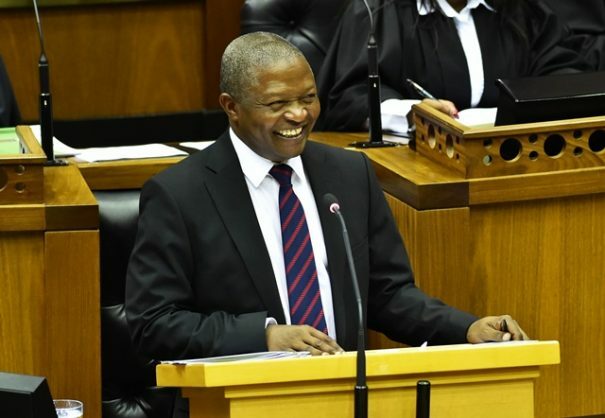 The land reform programme also poses no threat to the economic sector, an upbeat Deputy President David Mabuza declared yesterday. White commercial farmers are prepared to donate land to government to aid in its land reform programme. And Finance Minister Tito Mboweni is not being taken seriously when he articulates his views on social media platforms. Both statements were made by Deputy President David Mabuza during a question and answer session in parliament yesterday. Mabuza insisted the land reform programme posed no threat to the economic sector. Mabuza said the land was owned by different people, some of which was in the hands of different spheres of government, some in the hands of commercial white farmers. The deputy president said government was busy “verifying” the land and what it was being used for. Democratic Alliance shadow minister of agriculture, forestry and fisheries Annette Steyn noted there were 4,200 farms already in government hands and asked Mabuza when they would be put into production. Mabuza replied verification would be completed by the end of April, when a model would be put in place to redistribute the land according to certain criteria, especially “to those people who are hungry” to utilise the land efficiently. The Institute for Poverty, Land and Agrarian Studies has previously said land redistribution must lead to changes in patterns of land ownership, in relation to race, class and gender, which fundamentally alter the unequal and disempowering structures of the past. Professors Ruth Hall and Ben Cousins wrote: “Second, land redistribution must also transform patterns of land use and agricultural production so that land reform contributes in significant ways to eradicating poverty and uprooting the dire levels of inequality we live with. “Third, this means we need to find ways – as government, civil society and the private sector – of offering practical support to land reform beneficiaries so that, following the transfer of land, they can get access to adequate water, extension services and markets. Mabuza also took aim at Mboweni, who isn’t known for shying away from controversy: his disagreement with “the phasing out of Afrikaans as one of the mediums of teaching at the University of Pretoria” and that “some” state-owned enterprises were not required being just two of his more provocative statements. A jocular Mabuza said: “I don’t really take the minister of finance seriously when he is making comments. In response, the Inkatha Freedom Party’s Narend Singh said it was the first time he had heard a deputy president not agreeing with his own finance minister.